(real name Lu Bingwen) was born in Shanghai in 1971. From 1990 – 1994 he studied applied mathematics. 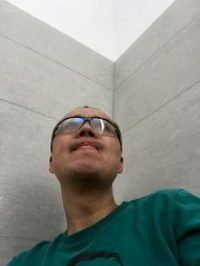 After several different occupations, particularly in the fields of marketing, public relations and software programming, he studied animation technique in Maryland/USA for two years, during which time he also worked for different film production companies in Shanghai. In 1998 he started writing fiction. Since then he has published a collection of short stories, a novel and several nonfiction books. Alongside his interest in the history of ideas and the mind he he includes mathematics, physics and astronomy. was born in the People’s Republic of China in 1963. In 1990, after studying journalism and computer science in Shanghai, she moved to Berlin with her German husband. Five years later she brought out her first novella in the German language. Meanwhile two collections of short stories and four novels which she also wrote in German were published. In 2000 she was awarded the Alfred-Döblin-Scholarship from the Berlin Academy of Fine Arts, followed by many further working and residency scholarships. 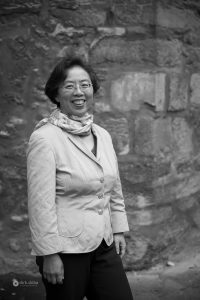 For her short story collection “Du fliegst jetzt für meinen Sohn aus dem fünften Stock“ Luo Lingyuan received the Adelbert-von-Chamisso Sponsorship Prize. In 2017 she won the Writer in residence Award of the city of Erfurt.